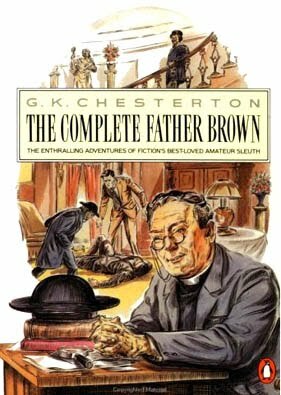 Father Brown is a fictional character created by English novelist G. K. Chesterton, who stars in 52 short stories, later compiled in five books. Chesterton based the character on Father John O'Connor (1870 - 1952), a parish priest in Bradford who was involved in Chesterton's conversion to Catholicism in 1922. The relationship was recorded by O'Connor in his 1937 book Father Brown on Chesterton. From 1984 to 1986, Andrew Sachs starred as Father Brown in a BBC Radio series based on the G.K. Chesterton stories. Father Brown is a short, stumpy Catholic priest, "formerly of Cobhole in Essex, and now working in London," with shapeless clothes and a large umbrella, and uncanny insight into human evil. Classic Chesterton. Great audio drama. Thanks so much for sharing this. However, I noticed that Episode 13 of Father Brown, entitled "The Absence of Mr. Glass," is truncated and cuts off before the ending. Is there anyway to re-upload that file? Thanks.